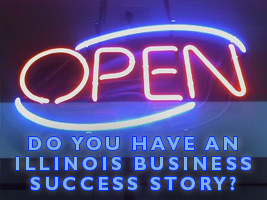 In the small town of Rochelle, about 80 miles west of Chicago at the intersection of Interstates 88 and 39, business is booming. 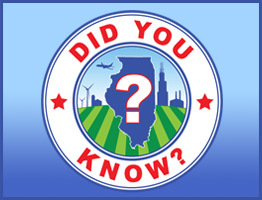 The Greater Rochelle Economic Development Corporation has attracted companies like Nippon Sharyo, Boise Cascade, Tyson Foods, and Hormel. This rural community consists of about 9,000 people, and its economy is bolstered by frozen French fries, bacon, ethanol, fabricated steel, hydroponic tomatoes, and the production of passenger cars for METRA. Each year, about 16,000 freight cars pass through Rochelle, picking up and delivering grain and other goods. Rochelle will soon gain another local gross domestic product from a boutique whiskey that is distilled in a former downtown theater. Rochelle is also home to a 1,200 acre intermodal rail park operated by Union Pacific. This park is used as a shipping point to send goods to the Pacific Rim. The growth doesn’t stop there. The future for Rochelle as an industrial star in Illinois and the Midwest looks bright. 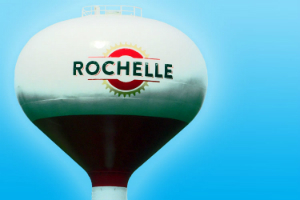 Rochelle is working to bring a $1.6 billion auto assembly plant from Toyota Motor Corp. and Mazda Motor Corp., which could employ 4,000 people, to the town. Bidders from more than a dozen states are looking at the same prize, but Rochelle is already prepared. The town has 1,000 acres of corn and soybeans set aside for the new plant. Rochelle is proving the common melody played by political and business elites wrong. Illinois is not a diminishing state, but instead outshining surrounding states in certain areas thanks to cities like Rochelle. 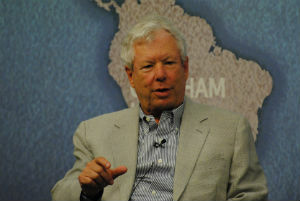 University of Chicago professor Richard H. Thaler – whose work has persuaded many economists to pay more attention to human behavior and government officials to pay more attention to economics – was awarded the 2017 Nobel Prize in Economic Sciences on October 9. Thaler, who teaches economics and behavioral science at the University of Chicago Booth School of Business, is a leading expert in a relatively new field that combines psychology and economics. He is considered a pioneer for moving economics toward a more realistic understanding of human behavior, and for using the resulting insights to improve public policy. Born in East Orange, New Jersey, Thaler received his undergraduate degree from Case Western Reserve University in 1967 nd his PhD in economics from the University of Rochester in 1974. He has spent his career developing an idea that challenges mainstream economics: humans aren’t always rational and they don’t always act in their best interests. Can you imagine Hal loween without haunted houses? It’s a tradition and the holiday wouldn’t be the same without them. There are a plethora of haunted houses to enjoy around Illinois. Check out the House of Torment in Morton Grove for a “multi­layered psychological thriller” that has been named one of the scariest haunted houses in the United States. The attraction boasts zombies, deadly creatures and murderous insects. 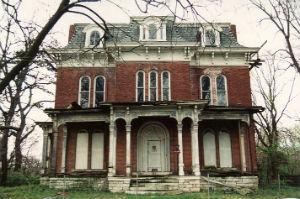 Or head to southern Illinois and visit Alton, one of the most haunted small towns in America. Take a haunted ghost tour through the town, based on the best-selling book by Troy Taylor, Haunted Alton. The book includes an in-depth look at all of the locations on the tour, plus the detailed history of Alton and the surrounding region. It's a chilling look back in time at the strange tales, unsolved mysteries, and many ghosts of the Alton area. 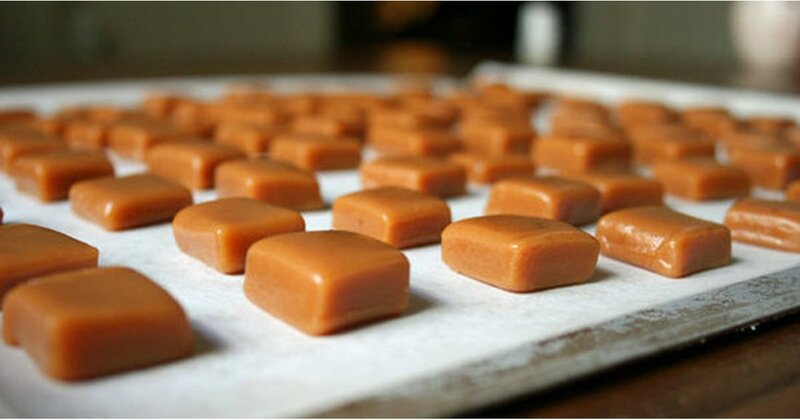 Brandace Cloud is a professional artist based in Wilsonville. She has a studio there and in Staunton. Cloud works in a variety of media, but specializes in photography and clay. ILI: How long have you been an artist or when did you start? Was there a single incident or moment when you realized this was your passion? BC: I have been making [art] most of my life, although I never realized that making [art] could be a living. My dad always encouraged me to work hard and make lots of money. But he also, through his actions and through his words, told me to find something I love to do. He worked hard his whole life working jobs he never really loved, so that our family could have a big fancy house and lots of things. While going through college I went through several different career choices. I tried for electrical engineering, computer programing, business, and then graphic design. I received my associate’s degree in Graphic Design from Lewis and Clark Community College and was still trying to make lots of money, but found that art was what I really loved to do. I continued on to Webster University, where I figured I could still make money while taking photographs. I continued on that path until my final year when I took a clay class. The first day of class, I realized THIS was my calling. I was a potter. I was meant to play with dirt and fire. 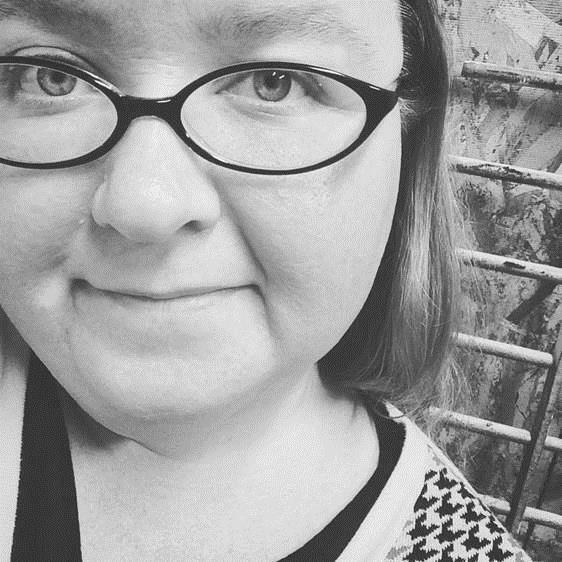 I have been a potter for six years now, and I’ve never looked back… never again doubted what I wanted to be. BC: Illinois is a major factor in my work through the images I put on my pots. I live in rural Illinois, where my “natural” landscape is plowed fields and stray trees. When I wondered what to decorate my pots with, it was intuitive to adorn my pots with images inspired by this landscape. In my tiny town of 600, my house sits on a dead-end street where owls live and play. 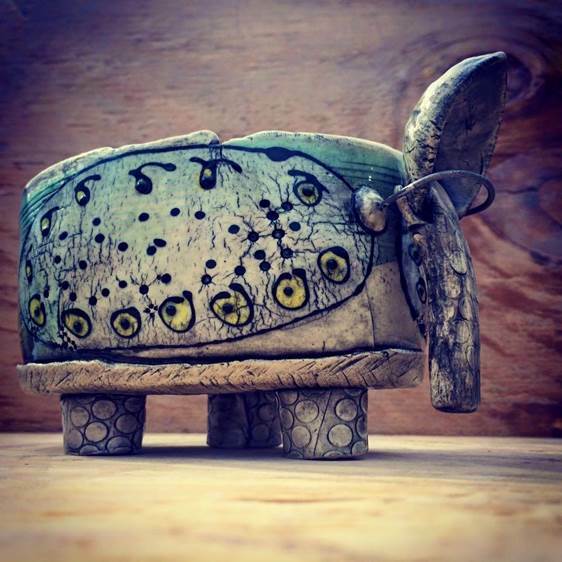 These creatures also make their way onto my pots, but now have been abstracted to those parts of the animals that intrigue me the most – their eyes, their ever-searching, seeking eyes. What I learned from Webster was that as an artist I need to always be paying attention, always looking, always searching. Now the owl eyes float in a field of color, ever-searching, looking, wondering. My work would not be this, if not for my home in rural Illinois. BC: The thing that I love most about Illinois is the landscape that inspires me. BC: I am a potter at heart. Although I can work in other materials, clay is my passion. BC: I am inspired by the artists around me. I feed off the creativity of my friends and those that make [art] around me, including my students! I teach art to kids as young as two years old, all the way through adults. The kids that I teach are unafraid of working, of creating. They are fearless. They make art for themselves. That is an inspiration. If there is one professional artist that truly inspires me, it is Susan Bostwick, an artist that I admire and work closely with. She is a fellow potter, and Susan has taught me so much about how to be a successful artist through her optimism and joyful approach to art. 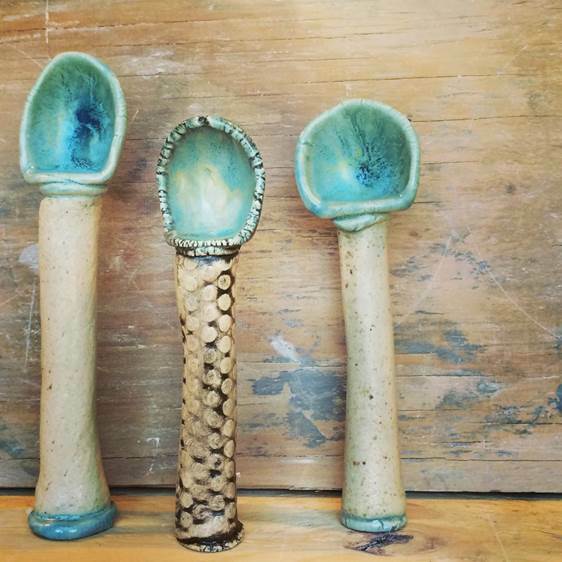 Her work can be found at https://susanbostwickceramics.net/. BC: They can find it online on my website, www.brandacecloud.com, on Instagram at https://www.instagram.com/cloudstudios/ and Facebook at https://www.facebook.com/BrandaceCloudStudios.